From treasure maps to shipwrecks and life below deck, bring the swashbuckling world of pirates to life in this exciting activity book. 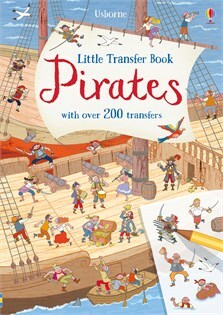 There are over 200 transfers of pirates, ships, treasure and more to decorate scenes including life at sea, a raid and a ghost ship. There’s lots of information about life on board a pirate ship, too.